← FREE Reiki on Father’s Day! Master Xiao sharing of Pai-Da therapy will help to improve our body Qi & blood circulation as well as to remove blockages in meridians. 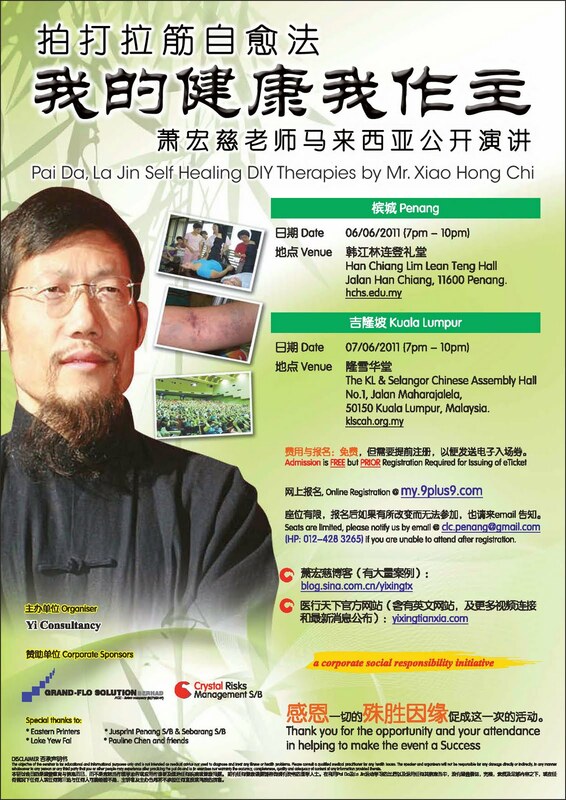 Find out more about La Jing method and the miracles of this therapy to prolong our lifespan. Kindly take note that admission is FREE, yet prior registration is required for issuing of eTicket!